We are LIVE at the NEW Spice Doc! 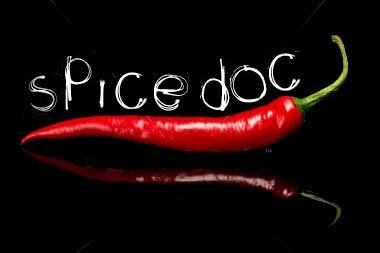 The reason I have been missing in action on here is I have thrown myself into the last few months of work for the launch of the new and improved Spice Doc site. It will still live at www.thespicedoc.com but not too long from now you will be directed to a fresh new site, with lots of exciting functions that will be unveiled when it's up. Who knew it could take so much love and work to build one of these? I have had my phenomenal friend, artist, and designer, Patricia Callison, imagining away at this for over a year now. If you want to see her incredible work go to Made in Mind. And about 6 months or so ago, Conor Browne, the Spice Doc programmer, joined and has been making Trish's beautiful ideas come to life with his own brilliance. In the meantime I chip away at the content little by little. While I've been doing that, I've also been cooking up a (medicinal) storm with all kinds of herbs and ingredients, studying Mandarin 4 hours+++ every day, and have begun to translate medicinal cook book recipes into English. A few chefs have opened their doors for me to show me one on one their secret medicinal recipes. And many more people have shared what they've learned from their grandmothers, mothers, fathers, aunts, uncles, doctors, etc. in terms of the strongly ingrained culture of medicinal cooking here in China. Every day I'm learning something new. There's not much more you can ask for! I can't wait to share that with everyone, TCM practitioners and laymen alike. Now that Spring is arriving, it's time to lighten the food load a bit, and increase your fresh vegetable and fruit intake. However, it is still incredibly important to avoid going all raw and salad-crazy just because the weather is warmer. Your digestion is still like a furnace, even in the summer months, and works at it's optimum when you treat it kindly with warm foods. If you begin to plow yourself with one salad after another, many of you will find yourselves in the grips of gas, bloating, loose stools, phlegm attacks, sluggishness, or wrap around headaches. A great way to protect your digestion but also crunch away on a crispy light salad, is to make a warm light soup to have before, or with, your salad. I prefer to keep the soups lighter and vegetable-based and I add a warm piece of cooked protein (such as fish or chicken) to the salad to add another warm element. Spring is a time for renewal and cleansing and evolving with the seasons makes sense for your health. Many people ask me about doing detoxes during this time, I don't personally recommend heavy detoxing if you are still living your life as usual, working, running around, and stressing, so I often recommend an "eating fast" which you can find information about here. Below you will find the recipe for a vegetable, vitamin, and mineral rich soup (Spinach, Roasted Red Pepper, and Yogurt Soup) to pair with whatever your favorite salad might be. Spinach is cooling in thermal nature, with a sweet flavor. It is a wonderful vegetable for moistening and nourishing the body, especially in conditions that create thirst and dryness (such as diabetes) and also at the end of a long drying winter. Spinach can also treat constipation and urinary difficulty and is of course known for being high in vitamin A and calcium. Red peppers are excellent in treating stagnant digestion (often the case at the end of a winter full of cloying heavy foods), as well as being high in vitamin C, and increasing circulation. Plain yogurt adds good dairy as well as some probiotic action. Roasting the red peppers adds more energy to the food (or yang energy as it is referred to in Chinese Medicine), while still maintaining the moistening and yin quality of the food. 1. Roast red peppers either over a low flame or under a broiler. Wash and place on a baking pan and make sure to turn each side as it blackens. Remove from oven and rinse under cool water, peel off outer layer of skin and slice into thin slices. 2. Chop up one whole onion and saute in extra virgin olive oil on a low heat until they begin to caramelize, add rinsed spinach and stir until it begins to soften. 3. Add 2-3 cups chicken or vegetable stock plus 1-2 cups of water (depending on how thick you want the soup), add salt and pepper to taste. Add roasated red peppers and let it sit on a slow boil for a few minutes so everything melds together. 4. Add one cup of yogurt and mix in. Remove soup from heat and let it cool. Blend into a thick consistency and reheat before serving. You can add an extra dollop of yogurt and minced cilantro and crunch sea salt on top before serving or just serve as is. This is a Flickr badge showing public photos and videos from The Spice Doc. Make your own badge here. While this site has been created by a licensed Acupuncturist and Chinese Herbalist, it is not a medical site. Information on this page is provided on a "best efforts" basis for interest only and does not constitute personal advice. Please consult a medical doctor, acupuncturist, or nutritionist if you are in need of a more detailed diagnosis and nutrition plan. Any content derived directly from someone else or a particular source is either linked or it is quoted within the text. We ask that you do the same. Recipes, text and photos © Copyright 2009-2012 The Spice Doc, unless noted otherwise. For re-posting, please credit and link to The Spice Doc. Print publication and content aggregation permitted only with permission.